Source: The Diabetes Cookbook. Recipe Credit: Lara Rondinelli Hamilton, RD, LDN, CDE and Chef Jennifer Bucko Lamplough. Photo Credit: Mittera. 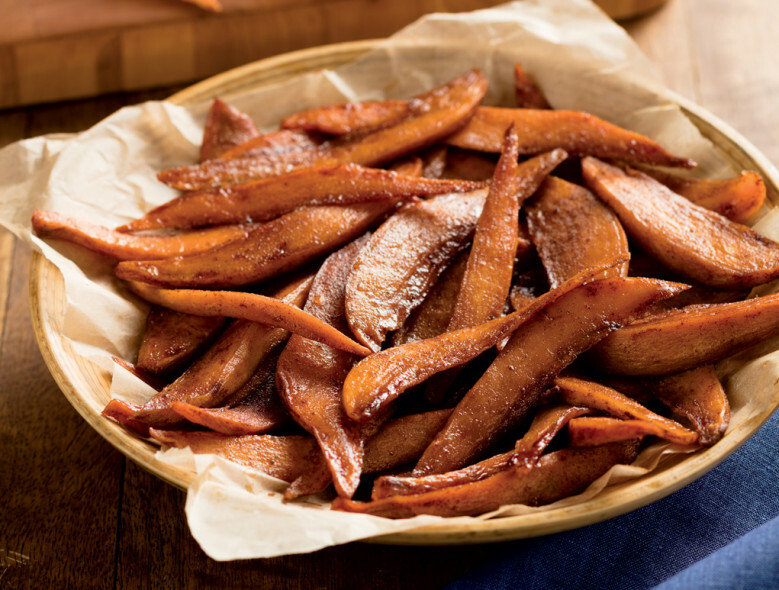 Sweet potatoes are packed full of good nutrition providing a good source of vitamin A, fiber and vitamin C. Adults and kids will love these "Sweet" Potato Fries. Find this recipe and more in The Diabetes Cookbook. To order dierctly from the American Diabetes Association, click here. Place potatoes in a bowl and add oil; toss to coat. Add remaining ingredients and mix well. Place potatoes on a baking sheet and bake for 35 minutes or until potatoes are soft. These are great! So easy to make. My husband loves them and wants me to make them again. Oh, you also don't have to be diabetic to enjoy these fries!